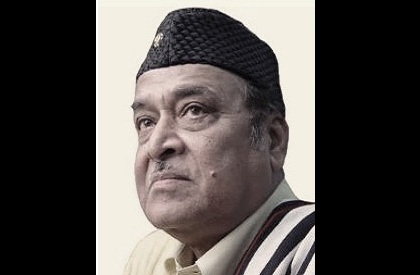 GUWAHATI: The family of Assamese legend Bhupen Hazarika has decided to turn down the Bharat Ratna, the highest civilian honour of the country that was conferred on him. The family members are upset over the citizenship bill and its likely impact on the people of Assam. Earlier also, several other famous Assamese personalities have come out against the bill and have opposed it. Though some other celebrities have returned their awards, this is the biggest such announcement so far. Bharat Ratna was conferred on the legendary singer, posthumosly. However, his family members feel that the sentiments of people of Assam, have been hurt and hence the honour needs to be turned down. Among the kin, Hazarika's brother feels that it should be a collective decision and such a big honour can't be returned by one or two members. There have been protests in states over the bill. In North East, there were black flags and protests that greeted Prime Minister Narendra Modi when he recently visited, there. Students' bodies, organisations have been up in arms and many celebrities have expressed concern over it.